Does The Body Shop's Deep Sleep Really Give You Beauty Sleep? I'm taking initiative to give myself more quality sleep next year. So I'm trying different approaches to help me achieve my goal. 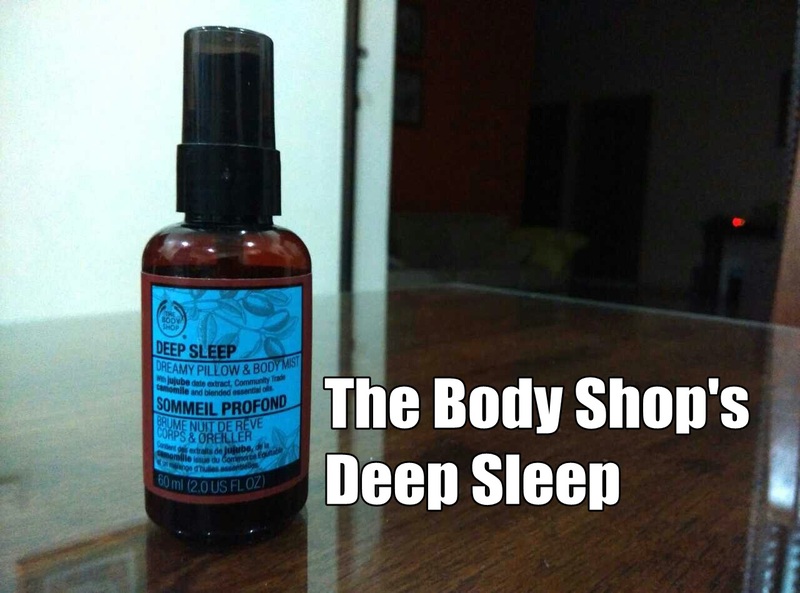 One of my approach is to try out The Body Shop's Deep Sleep. This is a mist for pillow, bed, blanket and also can be used on body. The mist contains jujube date extracts, camomile and blended essential oils (I assume there's lavender in it because I can smell it). It has very soft hint of lavender or eucalyptus, which puts you into a relaxed mood. This product is not like skincare or makeup where you can see the results. It is hard to tell if you indeed had a better sleep after using it. So I put this on test with the SleepBot app that I installed. I benchmarked the first night where I didn't use the pillow mist, and the second night when I use it. Here's the result. 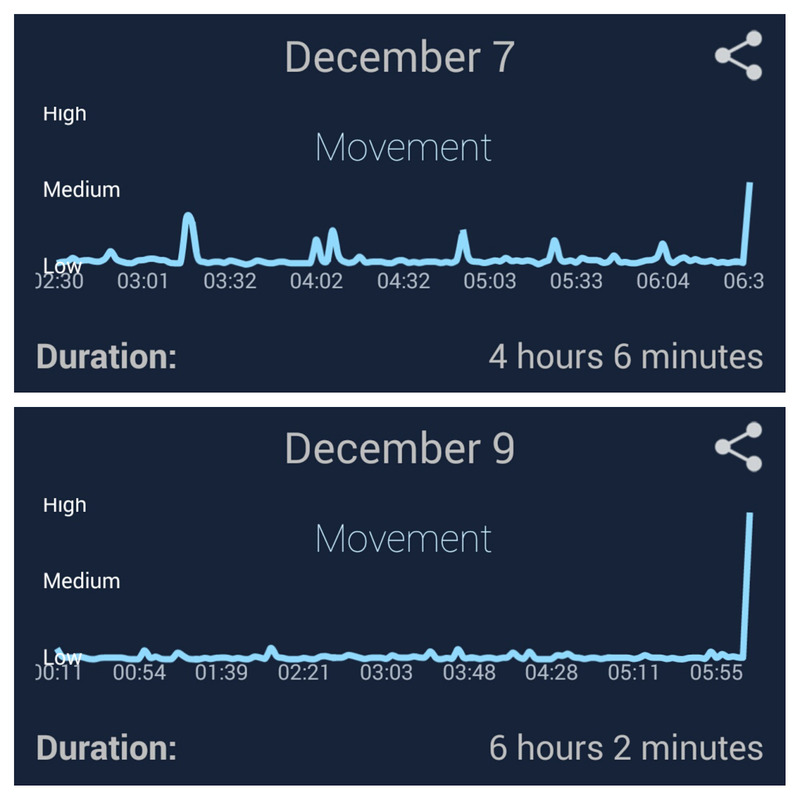 The first night my sleep movement was quite frequent. On the second night, I had a better sleep. I think the graph is pretty self-explanatory. It is pretty obvious that the Deep Sleep pillow mist did gave me a better sleep. In my personal opinion, this mist doesn't help to put you to sleep. If you already have insomnia and find it hard to fall asleep, it wouldn't help much. But if you are looking for some quality sleep, it did enhance your sleeping pattern. I'm not sure how useful you will rate this product. It is not something which I would recommend you to get it. But if you are interested, it is worth it to get it when there's The Body Shop sale. Wow you even use the apps to check on the sleeping quality! There was one semester in my uni that I felt like my sleep was terrible. At that time, the product was on sale and I bought it. It did help me sleep better. I got my needed rest and slowly was back to normal that I didn't use that often. Not sure if it was stress or what, but at least on days that I used it, the next morning I woke up feeling fresh. Hmm... I was trying to decide between this sleeping mist and This Works sleeping mist (you can find it on Luxola) as a present for a friend. Good to know that it gives you better quality sleep, but I'm still undecided which one to get, lol. That is creative of you to check on sleeping quality with apps!